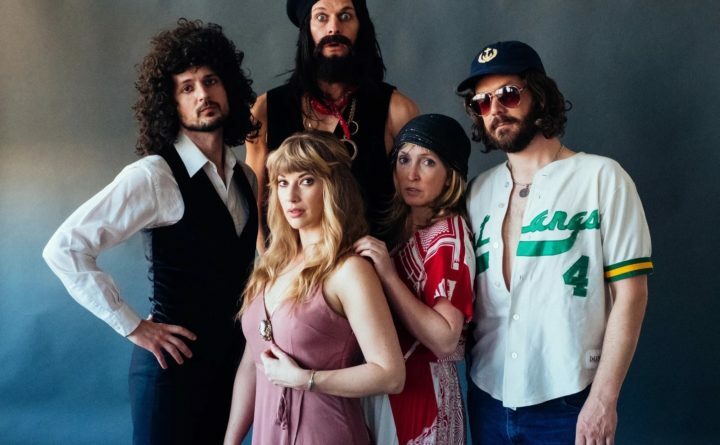 BANGOR — “Rumours – The Ultimate Fleetwood Mac Tribute Show” will take the stage for two nights at 7:30 p.m. March 22 and 23 at the Gracie Theater, Husson University. The show is part of The Gracie’s Bangor Savings Bank 2018 – 2019 season with show sponsorship provided by the Dead River Company. “For the first time in The Gracie’s history, we had a sellout show four months in advance of the concert date. Since there was so much interest in this show, we added a second night, which is very exciting,” said Jeri Misler, managing director of the Gracie. “Rumours – The Ultimate Fleetwood Mac Tribute Show” recreates the band’s legendary persona, from 1975-1987, in all its youthful glory. Everything from period accurate equipment and costumes, to spot-on characterizations and musical performances, will be part of this tribute. “Rumours” was formed in Los Angeles, California in the summer of 2012. Shortly after they finished their residency at the legendary Roxy, LA, they were asked to be on AXS TV’s “World Greatest Tribute Bands.” Their popularity continues to rise as they tour the country bringing back the look and sound of Fleetwood Mac from thirty years ago. Ticket prices range from $25.50-$39. Group discounts are available for groups of 12 or more. To purchase tickets or for more information about group rates, call the Gracie Box Office at (207) 941-7888 or visit www.gracietheatre.com. Completed in October of 2009, The Gracie is Husson University’s center for the fine and performing arts. This beautiful 500-seat theatre is considered one of Maine’s premier performance venues. In addition, The Gracie also serves as a learning platform for students from Husson University’s New England School of Communications in digital audio; sound mixing; set design and construction; lighting; acting and electronics.